Autronics specialise in Front End Engineering Study and Design to develop your automation specifications and solution with you, to start your project off on the right foot. 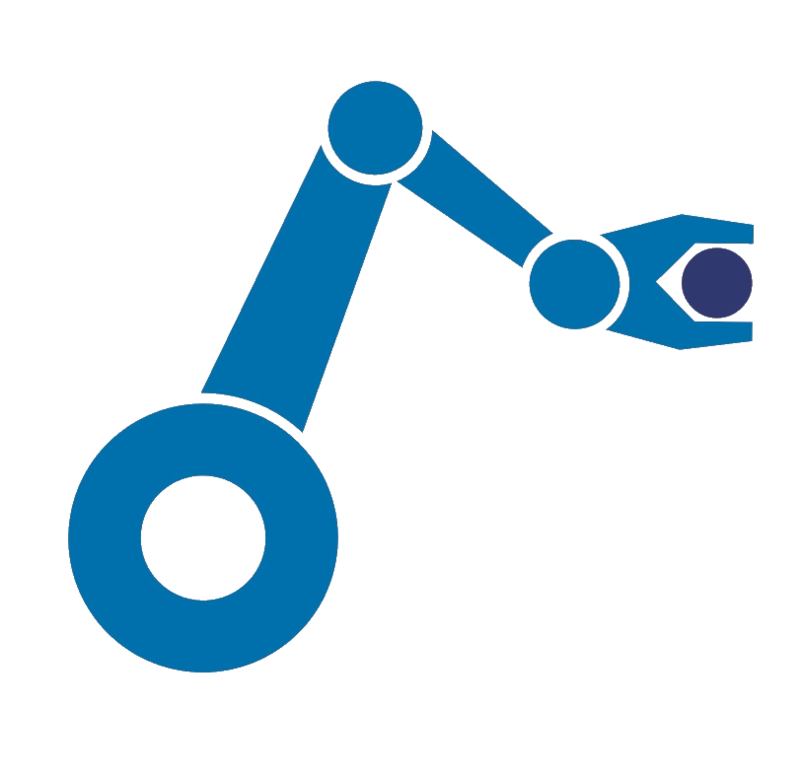 Fully flexible, fully automated robotic cells designed for your application. 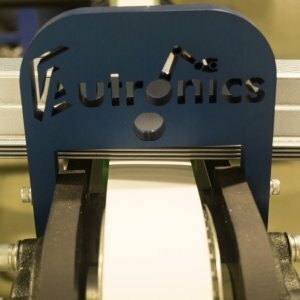 Economical fixed automation, designed and manufactured specifically for the application at hand, in-house at Autronics. Whatever the size and application, Autronics can design and fabricate conveyors to your exact requirements – from the sheet metal to the food and beverage industry. Autronics can specify, commission and install barcode scanners and product recognition and QA cameras, and develop PC applications for interfacing with ERP systems. Older machines looking tired? Autronics offer bespoke mechanical and electrical rebuilds to keep them ticking, and can fit out older machines with modern switchgear and control systems. Autronics can model your products with their fully featured 3D CAD suite, and develop Engineering drawings, renders and animations. The Autronics Engineers can come to you for maintenance or breakdown servicing and repair on all your automated equipment. 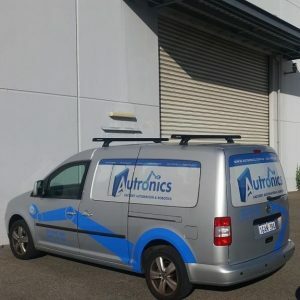 Email us today on info@autronics.com.au, or call to speak to one of our Engineers on +618 9494 5200. Autronics specialise in bespoke Automated Solutions for any application. We work with you to deliver quality Engineering solutions for your application. At Autronics, we apply our Engineering skills to whatever project you have at hand. Our dedicated staff have a wealth of experience in many industries, from food and beverage, to light fabrication and sheet metal, to automotive. 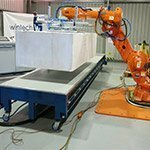 We want to use this experience to promote automation within Australia, and provide the cost, productivity, and OH & S benefits to your company. With an impressive factory space, sporting a complete machining and fabrication bay, large assembly areas and a dedicated team of Engineers there isn't much we can't design, fabricate and commission on-site in our factory. Because all our work is performed in-house and the complete system, regardless of size, can be set up in our factory, our clients see their projects as they progress, ensuring we meet their expectations. Autronics had recently completed a side-shift conveyor system for this same client, and noted the drop stacker on one of their lines was looking a little tired. 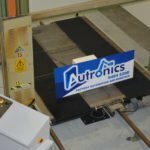 To maximise the potential of the new conveying lines, Autronics designed and manufactured a new drop stacker to ensure the sheets were dropped square and true. All of the control was integrated into the conveyor system – meaning no additional electrical feeds or wiring was required. This was also tied into the existing safety system on the conveyors, so no additional safety devices were needed. When Autronics visited the client’s factory, the current state saw operators manually pulling stacks of steel out from underneath the roll formers. To combat this, Autronics designed and manufactured a modular side-shift conveyor system for three separate lines, all using a common design, and common parts. A safety area laser scanner was implemented, meaning no physical guards were required. A tamping unit for leveling the edge of the sheets, and a film dispensing unit with integrated knife was custom designed to suit the client’s needs. 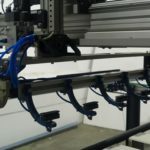 The client had an existing moulding machine which was able to produce a large amount of parts very quickly – but for each cycle, the operator would have to interrupt the system to manually remove the parts. Autronics proposed a conveyor system which would fit within the confines of the moulding machine. This presented a unique challenge as the conveyor could be only 100mm tall. A high impact, non-marking belt was used to withstand the dropping of the objects. An incline conveyor was supplied to take the parts up to an assembly table. WHY NOT CHECK OUT OUR VIDEOS WHILE YOU'RE HERE? 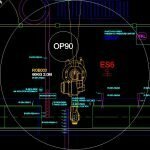 All the latest updates from Autronics' Engineers. You can find the rest of our posts here. Call us on +61 8 9494 5200 or use the form below and our engineers will respond within 24 hours.